Originally post at Wind Power Monthly. View original post here. Installed capacity currently stands at more than 3GW, up from just 200MW a decade ago. Behind this success are a world-class wind resource and a well developed supply chain. Investment in wind will account for the lion’s share of the A$18.7 billion (US$16.3 billion) expected to be generated by the RET. But despite strong historical performance, political wrangling over the federally-legislated RET has made investors wary and the future of wind energy in Australia is uncertain. Some comfort has been provided by the federally-funded Clean Energy Finance Corporation (CEFC) and Australian Renewable Energy Agency (Arena), although the respite may be shortlived. Arena is facing cuts to its funding and the CEFC is at risk of being dismantled under the new conservative coalition government that took power in September. If shaky federal political commitment was not enough to contend with, development in windy Victoria must also comply with new, more restrictive state planning regulations. 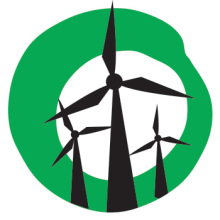 Introduced in 2011, the new rules insist on two-kilometre setbacks and so-called no-go zones, in which new wind development is not even considered. The five years to 2010 saw almost 3GW of wind farms approved in Victoria, but just 60MW has been approved since. The collapse in project activity has resulted in up to A$3 billion in lost investment. The states of New South Wales and South Australia are considering similarly restrictive policies. State governments have traditionally been more supportive of renewables than federal legislators. Many states viewed the original mandatory RET of 2% as unambitious and contemplated their own initiatives. 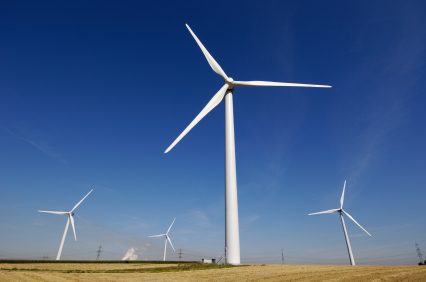 Victoria got as far as implementing a policy in 2007, which prompted significant activity in the state’s wind sector, although it was quickly superseded by the introduction of the federal “expanded RET” (eRET) in 2009. Now, with federal politics unlikely to produce much in the way of support for wind energy in the foreseeable future, pressure is once again mounting for state governments to step in. First to move is the Australian Capital Territory (ACT), which announced a law in late 2013 to source 90% of its energy from renewable sources by 2020. Wind is expected to comprise more than 80% of the portfolio, which could generate a total of A$1.7 billion in private investment. The Sustainable Energy Association of Australia recently highlighted the economic benefits for Western Australia — a state blessed with world-class wind and solar resources — of adopting a local target. The economic argument for developing state-based targets is strong. A healthy wind industry has the potential to offset some of the significant recent job losses in the Australian manufacturing sector. Wind-tower manufacturing is in the spotlight following the recommendation by Australia’s Anti-Dumping Commission to impose import tariffs on Chinese and South Korean turbine towers. Indeed, experience in North America underscores the lesson that state-based support can make or break an industry’s fortunes. California’s long-standing commitment to renewable energy attracted an estimated US$7 billion investment in 2012 alone, while legislation passed in Maryland to see 200MW of offshore capacity by 2017 will create more than 850 jobs. In contrast, several provinces in Canada — including Ontario, following the World Trade Organisation ruling on domestic content, and Quebec, where there is major public opposition — are now reviewing long-term energy plans, creating uncertainty and slowing investment. By its very nature, wind energy is highly location-dependent. The added complexity of local social and economic factors means that any policy designed to foster a sustainable investment climate will have a distinctly local flavour. As experience in Australia and elsewhere has shown, decisions made locally can help or hinder wind power at least as much as national legislation. As long as support for wind energy in Australia continues to ebb and flow between state and federal governments, anyone with an interest in the sector is well advised to keep a close eye on which way the wind is blowing.